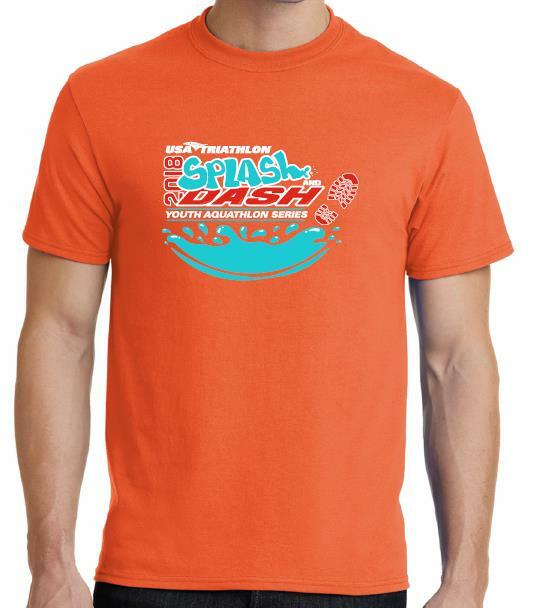 A Splash and Dash is a fun and fast-growing sport that combines running and swimming. 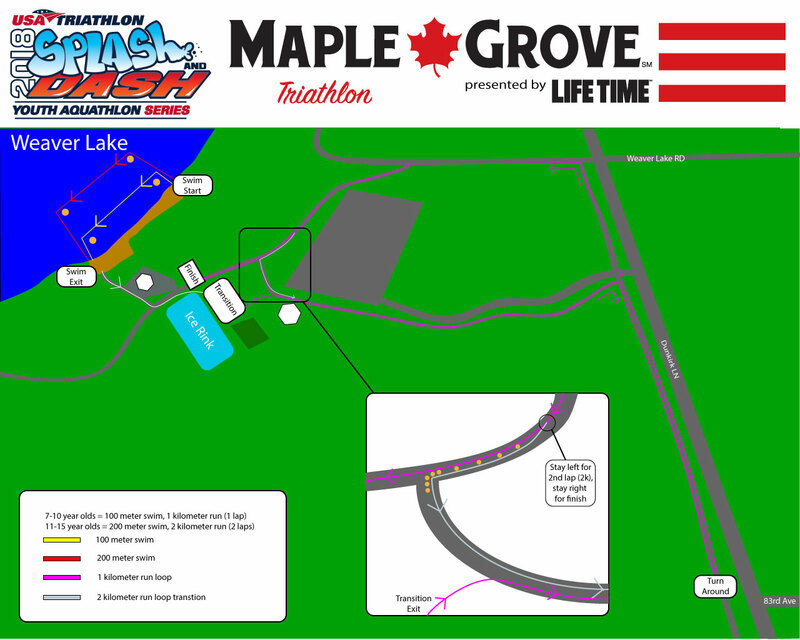 The Maple Grove Splash and Dash is a participatory event for kids ages 7-15 with an emphasis on creating a fun family weekend of multisport and fitness. 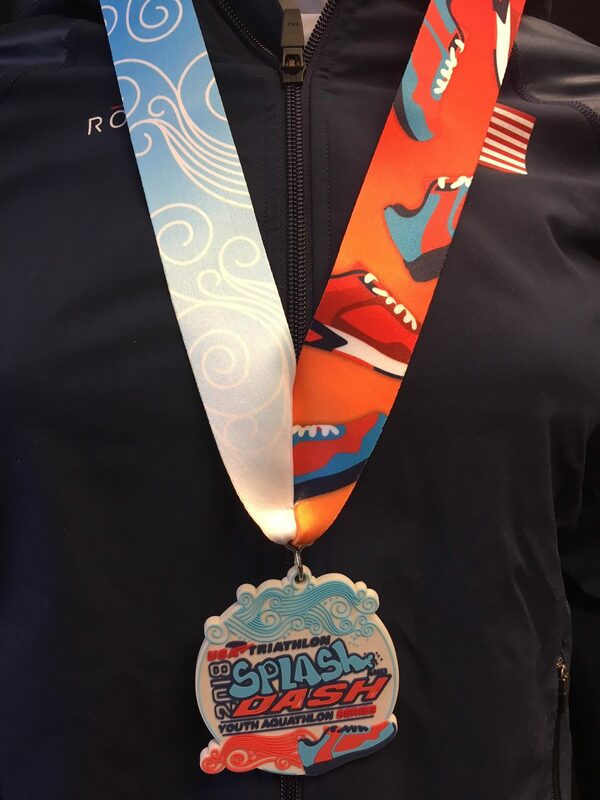 As an official part of the USA Triathlon Youth Aquathlon Series, our event will be one of more than 55 events occurring across the United States this summer. Every participant will receive an event t-shirt and finisher medal. Parents are encouraged to cheer on their kids as they move through the course and finish under the same arch as the adult racers. 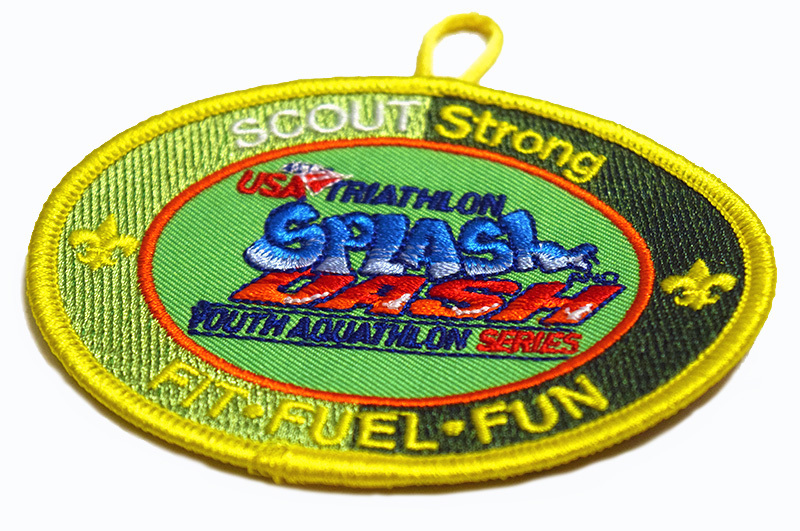 If your child is a member of the Boy Scouts of America, they can even earn a badge for participating in the event! The race will be held Friday August 23rd at 6pm. Athletes will be staged by age with the oldest going off first. The kids will start the swim on the northern most corner of the Weaver Lake swim beach and swim south along the shore until they reach the swim exit. 7-10 year olds will swim 100 meters in shallow water that will allow a swimmer to stand up if needed. 11-15 year olds will swim out a little deeper and complete a 200 meter swim exiting in the same location as the younger kids. Both courses will have numerous lifeguards in the water and safety personnel on site ensuring a safe and fun swim. As the swimmers exit, they will enter their own transition area where they can change into their run shoes and hit the trail. The 7-10 year olds will do one lap of the 1k course, kids 11-15 will do two laps. The entire run is on the area run paths and volunteers will be on site to ensure runners are going the correct direction. There will be one aid station as the runners exit transition with water and sports drink. Runners doing the two lap course will pass the aid station twice. As the kids finish they will be greeted at the finish with medals and refreshments. Kids can pick up their race packet containing their shirt, swim cap at the same pavilion where the adult racers pick up their packets. Body marking will done when the kids receive their packet. The transition area will be divided into two sections, one half for kids 7-10 and one half for kids 11-15. Kids will be free to choose their own spot, not transition spaces will be assigned. Packet pick up will begin at 11am on Friday and will be at the same location as the adult packet pick up. Attention swimmers: In accordance with the City of Maple Grove rules, no one is allowed to swim when lifeguards are not on duty. In the event the Weaver Lake beach is closed, please visit the Maple Grove Community Center. This race will utilize the EAS system, encompassing a color-coded system to reveal current event conditions. Participants will notice flags posted throughout the race venue, at the finish line and at each aid station on race day. EAS updates will be communicated through PA announcements, social media, web post and/or dedicated emails.